Carson McDowell is a law firm in Belfast with over 170 employees in their local office. They advise some of the largest, most commercially sophisticated Northern Irish based clients as well as “blue-chip” industrial, service and financial companies, emerging enterprises, public bodies and international clients doing business in Northern Ireland. Ampliphae is an easy-to-deploy, sophisticated and affordable cloud-discovery, security and compliance platform. Quickly find all the SaaS applications in use within your organisation, minimise data-compliance risks and apply policy-defined governance to SaaS applications to ensure that your compliance and security policies are rigorously and automatically enforced. The Anomali suite of threat intelligence solutions empowers organisations to detect, investigate and respond to active cybersecurity threats. Anomali integrates with internal infrastructure to identify new attacks and enables security teams to quickly understand and contain threats. ANSEC is a consultancy practice providing services to public and private sector customers throughout the UK, Ireland and internationally. 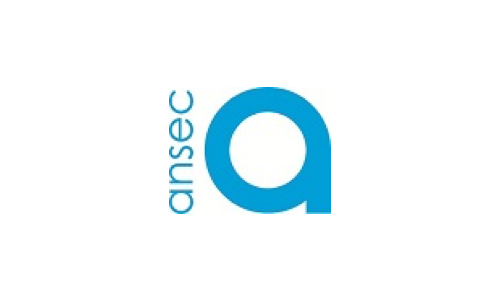 ANSEC specialises in delivering Business and IT services in Information Security, Programme and Project Management / Business Analysis, ICT Strategy, Architecture, IT Audit, Governance Risk & Compliance (GRC) and Digital Forensics. At B-Secur, we aim to make an individual’s unique heartbeat the connection between their devices and them. We specialise in heartbeat (ECG) algorithms to quickly and securely identify an individual, as well as provide health & wellness metrics. Cloudsmith is an accelerated software provenance platform for all software stacks. Cloudsmith provides secure digital storage for software and assets under development that are being prepared for deployment and distribution. High performing companies need powerful tools that can simplify, secure and accelerate their software pipelines with automated provenance and resilience. The Centre for Secure Information Technologies (CSIT), Queen’s University Belfast, is the UK’s Innovation and Knowledge Centre (IKC) for cyber security, and the UK’s largest cyber security focused university technology research, development and innovation centre. The theme of CSIT’s research roadmap is securing our digital tomorrow. Cyphra is a specialist cybersecurity business with extensive experience in delivering services and technical solutions for a wide range of public sector, finance and private sector clients. Cyphra can help structure and implement strategic cybersecurity programs for businesses or enhance existing tactical projects by providing the appropriate knowledge and expertise. Fujitsu in the UK and Ireland offer an integrated product and service portfolio that includes IT consulting services, technology products, managed services, cloud-based solutions, and systems integration. We are experts in digital business transformation, and have a proven track record of enabling both private and public sector customers to digitalise with confidence. Kainos is a leading provider of Digital Services and Platforms. We develop digital technology that helps people work smarter, better and faster. We create bespoke solutions for public and private organisations all over the world, and build innovative software platforms that make life easier for our clients and their customers. Liopa have developed lip-reading products that can automatically recognise speech based on the movement of the lips, which works in noisy conditions when speech recognition alone would fail. Our expert team have built on a decade of world-leading research to enhance the user interfaces of the future. MetaCompliance is an industry leader for staff based education and risk mitigation in cybersecurity and compliance. The MyCompliance Cloud platform provides a fully integrated suite of compliance capabilities including Processing Activity Assessments, Risk Management, Task Management, Policy Management, Incident Management, Simulated Phishing and eLearning. Reporting dashboards enable Privacy, Cyber and Compliance professionals to easily track implementation and demonstrate accountability. Novosco is a trusted provider of cloud solutions, managed services and consulting. 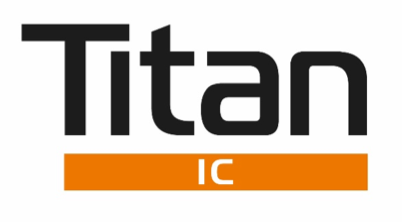 Our consultants and engineers provide the best advice, the most appropriate solutions and the highest quality of service to deliver total threat protection without compromising on IT innovation. With Rapid7, technology professionals gain the clarity, command, and confidence to safely drive innovation and protect against risk. We transform your data into the key insights you need to predict, deter, detect, and remediate attacks and obstacles to productivity – so you can safely move your business forward. RepKnight is a UK cybersecurity company with a difference - we think you should be looking after your data, not just your network. Our BreachAlert automated Dark Web monitoring platform looks for your data 'outside the firewall', alerting you in minutes if it’s posted on the Dark Web. SaltDNA is a Cybersecurity 500 company, building secure enterprise mobile communications solutions since 2013. Our product provides secure voice, messaging, conference calling and image transfer for busy executives, who need to make important decisions while on the move. Customers include large oil & gas companies, law enforcement, security services, enterprise executives and legal firms. Uleska brings you penetration testing - that keeps on testing. Penetration testing is time consuming and expensive, needing to be repeated at regular intervals. Uleska provides a unique combination of certified security professionals and our award winning SecureDesigner product. Providing you with a faster and cost-effective penetration test, which your teams can automatically repeat during future development. Founded in 2006, Vertical Structure is a specialist and highly experienced team offering the foremost in quality standards in Cyber Security, Information Assurance, Threat Modelling Programs and technical and non-technical training.